High-performance LEDs typically have a lens positioned right on top of the emitting surface to emit more light. Unfortunately, this lens also prevents to attach an optical component directly on the LED. Typical LEDs have a very broad solid angle of emission, whereas waveguides typically have only a very small acceptance angle for light to be coupled into. Therefore, the coupling efficiency between a LED and a waveguide decreases as the distance between the components increases. The LED light coupler developed by the TU Berlin offers an improved coupling efficiency by using a sleeve between the LED and the waveguide. 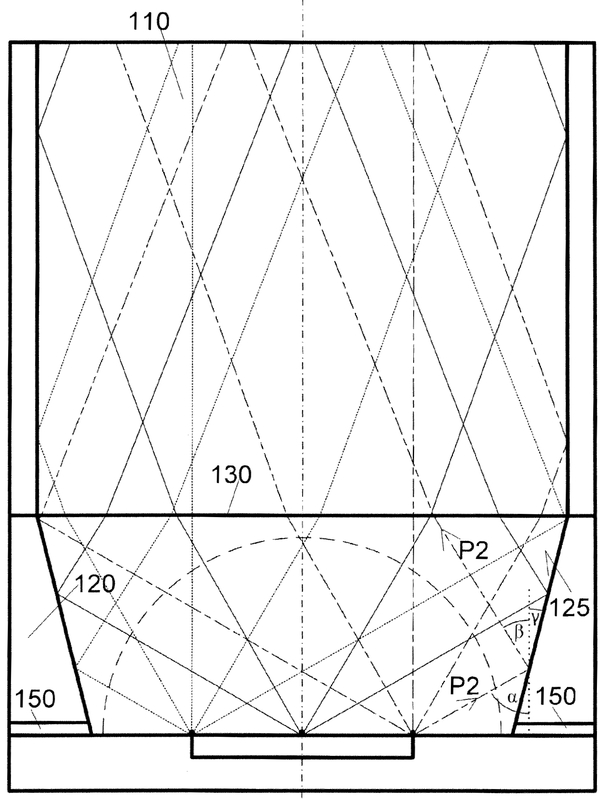 On the inside this sleeve is equipped with a reflective surface in the shape of a truncated cone, allowing more light to be coupled into the waveguide. Thereby the coupling efficiency significantly increases. A further advantage is that the position of the lens right above the LED can be varied relative to the sleeve, so that the divergence and the intensity at the distal end of the waveguide can be adjusted and optimized as desired. The lens and the sleeve are separate components which can be positioned freely towards each other in the fabrication process.